The Preservation of Monuments Board (PMB) is the national authority safeguarding Singapore’s national monuments. It is guided by the Preservation of Monuments Act to provide “for the preservation and protection of National Monuments”. 4) Act as an advisory to the government in respect of matters relating to the preservation of monuments. Formed in January 1971, PMB was a statutory board of the Ministry of National Development. It is charged to identify monuments that are worthy of preservation based on the criteria that they are of historic, cultural, traditional, archaeological, architectural, artistic or symbolic significance and national importance. In 1997, PMB became an independent statutory board under the Ministry of Information and the Arts (presently known as Ministry of Information, Communications and the Arts). PMB merged with the National Heritage Board with the passing of the revised Act of 2009 and the appointment of a Director to helm PMB. PMB will complement the administration of the gazette process with public and school outreach. In 2011, PMB will continue its school- engagement programmes and public outreach to promote greater awareness and appreciation of Singapore’s architectural heritage and history. Stimulate public interest and support in these monuments as PMB hopes to keep these monuments alive in the public’s mind. The aim of preservation is to safeguard Singapore’s National Monuments as enduring historical landmarks as they provide vital links to our past. PMB has gazetted 61 National Monuments which comprise a mixture of commercial, institutional, religious, government and public buildings. They represent the multi-faceted character of Singapore’s history and heritage. PMB conducts talks and workshops as well as specially tailored programmes for architectural appreciation. This workshop was organized for monument owners to learn about the basics of conservation as well as coming together to network and exchange ideas and views on the maintenance of similar monuments. This 2-day workshop was conducted by Dr Qiu Jianhai, a leading corrosion consulting engineer in Singapore. The aim of this workshop is to equip participants with the essential knowledge and the necessary skills to understand the causes of corrosion and to apply the state-of-the-art technologies in corrosion control and prevention. The course also covered on the effect of pollutants and Singapore’s climatic parameters on the atmospheric corrosion of important materials and materials used in historic buildings and cultural monuments. This 2-hour public lecture on built heritage restoration was presented by Mr Ho Weng Hin, a trained architect and recent honours graduate from the University of Genoa, Italy. This 1-day forum saw participation by students from 11 Junior colleges. This public lecture on paint analysis and heritage restoration was presented by Mr Lawrence Chin in conjunction with the Architectural Paint Layers Research Project. He is a trained conservator and experienced in restoration of paintings and art work. This lecture presented by Dr Yeo Kang Shua is part of a 6-lecture series organized by the Singapore Society of Asian Studies. This talk was given by Mr Ng Ching Huei. An evening of sharing and discussion. This forum was a chance for the grant awardees of the inaugural PMB NUS Research Grant to present their findings on topics ranging from historical places to the Peranakan community. It was an opportunity for people interested in questioning the relevance of historical buildings; the representations of the Peranakan community and their culture; and the authenticity of the Peranakan Place. 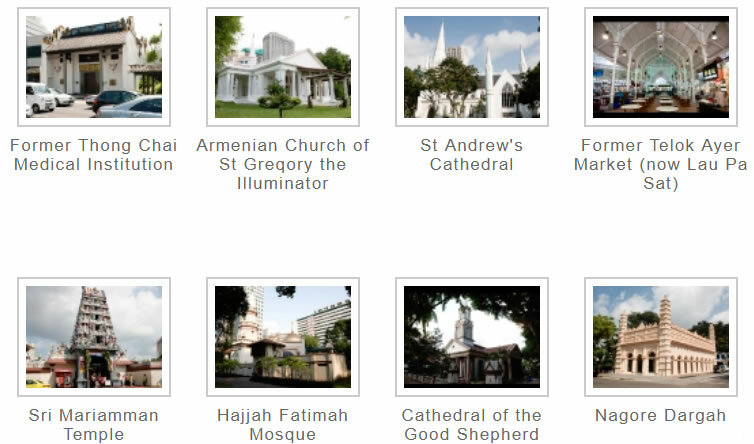 Get to know Singapore by joining the Preservation of Monuments Board’s (PMB) Volunteer Guide Programme (VGP)! The programme trains volunteers to guide monument trails and support PMB’s education and outreach programmes for schools and the public. Prior to guiding, all volunteers will undergo an intensive 15-week training programme which includes field trips and hands-on sessions to understand our National Monuments, craft interesting tours to present the monuments in innovative ways and learn skills to engage participants on tours. Engage students to make History and Social Studies come alive for themselves! Explore the possibilities of syllabus tie-ups with PMB; PMB’s educational programmes can be incorporated into your curriculum! This is Pernilla and Asif’s take on how they approached the design of the Future Memory Pavilion, catching the attention of passers-by ever since it was opened to the public on the 19 October 2011. 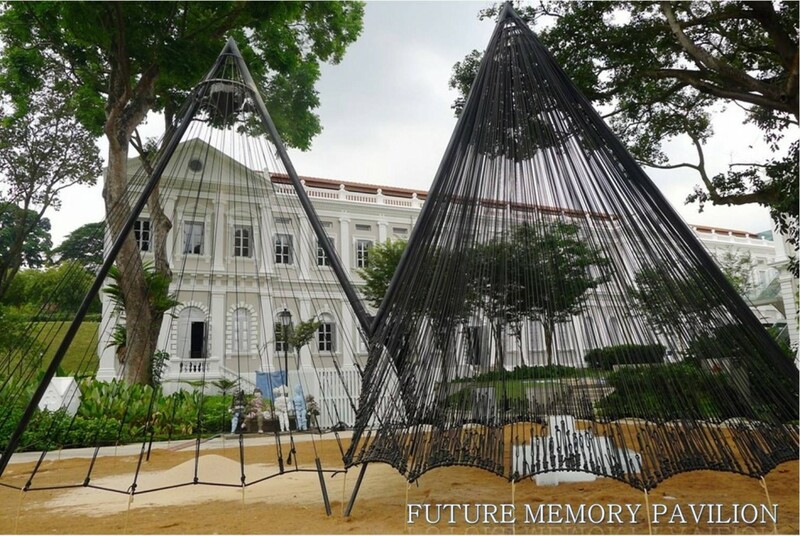 The Pavilion aims to inspire ideas and thoughts about our city and what it might look like in the future through the use of two materials, sand and ice, while exploring Singapore’s past and the connection between its past and future. The Preservation of Monuments Board (PMB) designed an educational guide and trail for students and families to embark on an exciting journey to the Pavilion and the National Museum’s galleries to learn about the significance of these two materials in Singapore’s history. 540 students had the opportunity to attend a 2-hour explorer’s journey led by PMB facilitators. Throughout the journey, these young minds were actively engaged as they were encouraged to ponder about preservation and its implications for future memory, against the backdrop of one of Singapore’s most significant national monuments which opened in 1887, the National Museum of Singapore.